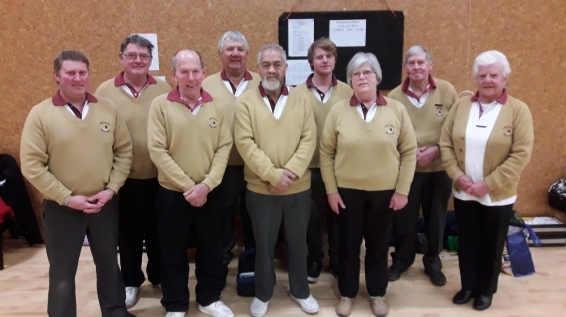 The Indoor Bowlers who represented North Otago in the Paterson Trophy held in Alexandra recently. The competition was won by Southland with 134.5pts followed by Otago 111.5, South Canterbury 102.5, South Otago 80.5, North Otago 62.5, and Central Otago 48.5. Wally Strachan and Graham Arlidge (Awamoko), were the winners of the Champion of Champion pairs at Kurow, beating Stefan Robb and Diana Mcgregor(Eveline)12-11 in the final.